Sounds like something out of a nightmare, right? This is how author Susannah Cahalan describes the beginning of month-long ordeal in which she spirals into madness. 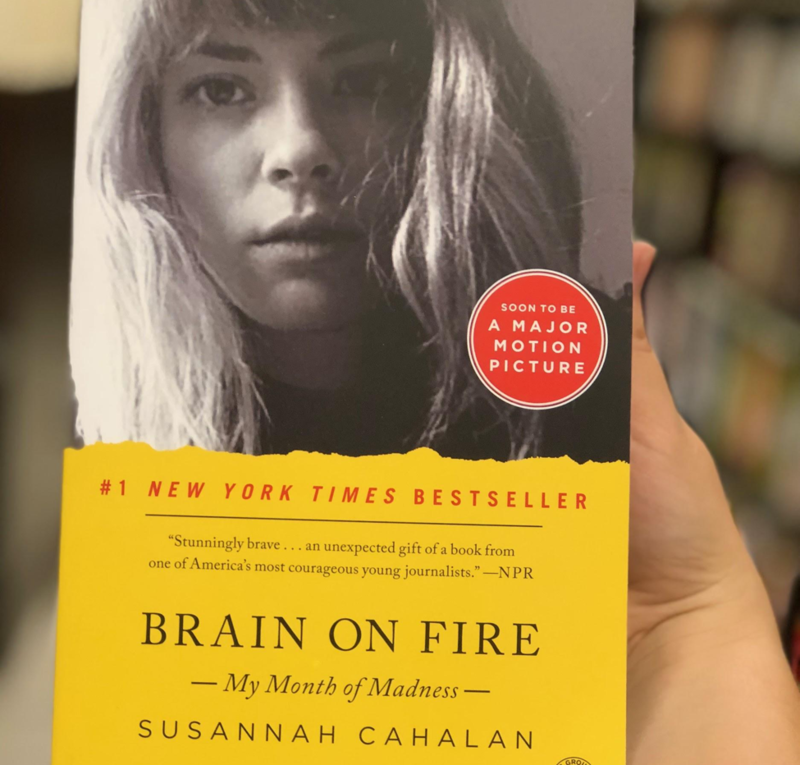 This captivating, can’t-put-it-down memoir, “Brain on Fire: My Month of Madness,” depicts Cahalan’s rapid deterioration due to the rare autoimmune disease, Anti-NMDA encephalitis. Cahalan is a young woman on the rise. She has a new serious relationship and a promising career as a journalist with the New York Post. But she hits a speed bump when delusions, uncontrollable crying, and a series of dramatic seizures suddenly control her. Her short-term memory was nearly nonexistent and the paranoia became unbearable. Riddled with physical and mental maladies, doctors had no clear answer as to what was happening to Cahalan. Lupus? Schizophrenia? MS? Cahalan was pinned as “an interesting case” ­– a description no patient ever wants to hear. Cahalan is only able to write about her month-long hospitalization by watching videos of herself and interviewing doctors, friends, and family. She has no recollection of a time where she could not move or speak. In the months after her release, Cahalan regained her self-esteem, independence, and normal functioning. She had the unwavering support of her loved ones and supportive medical team. What makes this memoir so enthralling is her journey of recovery. “Brain on Fire” is a story of courage during isolation and darkness. Her story provides hope. It is an amazing feat that Cahalan could put her story on paper. In one part, Cahalan is attempting to write a piece about her illness for the New York Post. She watches videos of herself in the hospital and is sickened. But she didn’t. Cahalan had the courage to share her story with the world, and it is a gift for all those suffering from any type of illness, invisible or not. Cahalan also writes about finding a piece of jewelry that was lost during the midst of her illness. While the medical miracle of this memoir is fascinating, the impact of the underlying story of bravery in the face of darkness is one to never forget. Interested in reading “Brain on Fire”? You can buy it here. Addison Dlott, 20, is an undergraduate student at Ithaca College in Ithaca, NY, majoring in documentary studies and production. She is a storyteller who utilizes her passion to make media that matters and is a devoted youth health/safety and autism awareness advocate. Currently, she serves as a Membership Assistant with the National Organizations for Youth Safety.